Well, what a bloody riotous day that was. 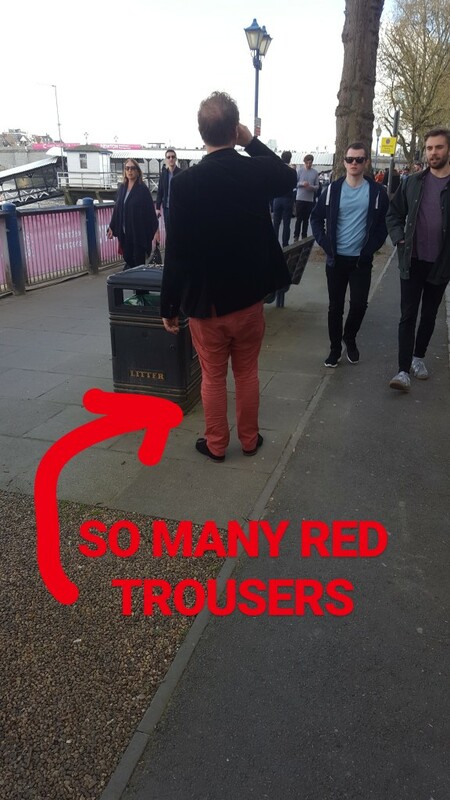 Blazers, red trousers and all. I was on a boat with my pals Izzy and Will. 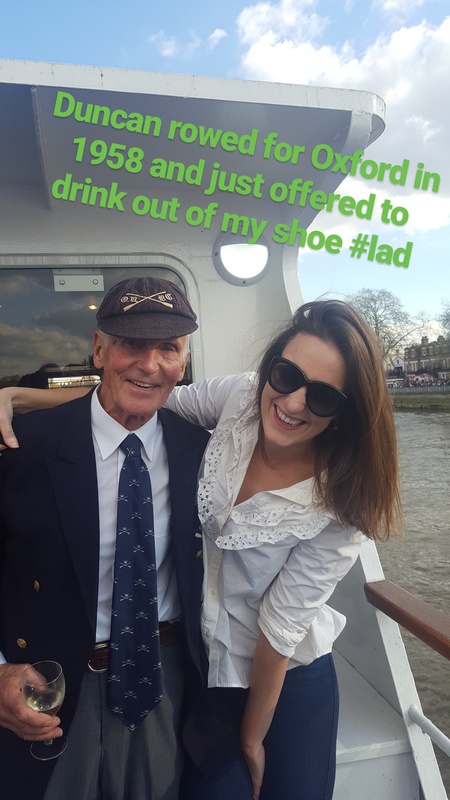 Izzy’s Dad, an Oxford Blue, organises a boat every year for a load of other Oxford Blues. V smart because the only other boats allowed on the river, apart from those who are actually rowing, are the Cambridge and Oxford boats on which university donors and bigwigs mingle. ‘You’re not allowed to say you’re for Cambridge because you’ll get chucked off,’ said Izzy’s nephew, Eugene, 6, as we boarded. I was planning on keeping my mouth shut on that front anyway. Having failed to get into Oxford (twice), I always feel an impostor on boat race day. Like one of those faintly suspect sorts who designs their own family crest just so they can stick it on a signet ring. HOWEVER, my dad rowed for Oxford twice in the 70s so I attribute my enthusiasm towards the event to him. Anyway, on this boat we drank a load of white wine, watched each race storm past us, then rushed inside to where two tellies were rigged up so we could watch them push on down towards Mortlake. There was general dismay at the Oxford women falling behind so early, but near euphoria when the Oxford men pulled ahead at the start. So much euphoria I thought some of the old boys might have heart attacks but luckily not. ‘KILL THEM SHOW NO MERCY,’ shouted my friend Duncan for the entire, 17-minute duration of the men’s race. Duncan is a hero. See below.